Lance Armstrong v Hein Verbruggen – who would you believe? 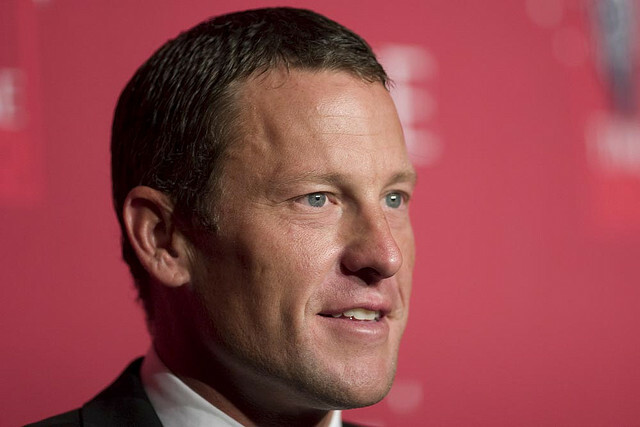 Since Lance Armstrong’s spectacular fall from grace he has been engaged in a battle on at least two fronts: a legal battle to protect the vast fortune he largely accrued through endorsements and bonus payments (on the basis that he was winning clean), and a personal battle to salvage and rehabilitate his image. Whatever the odds, Armstrong is not a man to go down without a fight, and so while the legal maneuverings whirred away in the background Armstrong began the process of seizing control of the narrative, and attempted to spruce up his image by appearing on Oprah. This appearance was largely criticised as being an insincere and cynical attempt to grab some sympathy. In recent weeks and months Armstrong has become slowly more visible to the world, as he embarks on what has been dubbed by those who are slightly cynical of his motives, the ‘reconciliation tour’. This most recent round of interviews, appearances and apologies have largely been seen as further attempts to salvage his reputation. 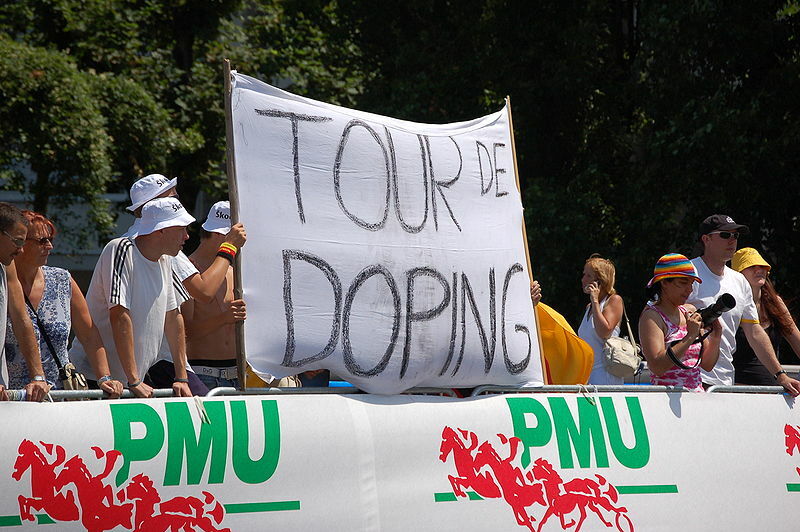 Perhaps it is the very public nature of his apologies to the likes of Christophe Bassons (the Mr Clean of the Armstrong era peloton, who stood up to the Texan and the doping culture in general) and Emma O’Reilly (former team soigneur who dished the dirt on Armstrong) that have helped to fan the flames of scepticism; if the cameras hadn’t been rolling and the press hadn’t been on hand to report them, would the apologies even have happened? This cynical assessment of his current behaviour may ring true for many, but there is one particular argument where plenty of informed observers are very much on Armstrong’s side. Armstrong recently made the point (not for the first time) that the man who was UCI president at the height of his career, Hein Verbruggen, was fully aware of the extent of drug use in the pro ranks and even tacitly condoned it; apart from anything else, he is alleged to have helped cover up a positive test by Armstrong in 1999. The closest Verbruggen has come to admitting to this is to say he ‘might have’ spoken to Armstrong after the test. Verbruggen responded to Armstrong’s accusations by quipping, ‘who believes Armstrong anyway?’ Well, Mr Verbruggen, the truth is that people tend to believe Armstrong when it’s a choice between you or him; which says a lot. Verbruggen has long since been discredited and is widely seen as a large part of cycling’s doping problem in the 1990’s and 2000’s when he was the head honcho at the UCI. David Millar even suggested recently that those dark days of EPO use should be referred to not as the Armstrong era, but more accurately as the Verbruggen era. It is certainly the case that Armstrong has borne the brunt of the disgrace and the punishment for the years of drug fuelled racing in the peloton – his ‘death sentence’, as he puts it – and there are others who, thus far, have got off relatively lightly. Is this because Armstrong played the game for higher stakes than the rest and made himself a global star in the process? Is it payback for the bullying and the nastiness, as much as the cheating? Did he simply make more enemies than everyone else? …because, lets be honest, he won’t go away. When it comes to the restoration of his image Armstrong will surely stick at it until the day comes when, to some extent at least, his character and reputation in the eyes of the world are rehabilitated; if nothing else, that’s just the cyclical nature of power and celebrity. I am not sure how I feel about all of this and that is perhaps the worst possible feeling. I have become largely ambivalent about pro cycling–a sport that I enjoyed following for many years. That’s understandable. The trouble is that, to follow pro cycling you either have to have a completely cynical attitude and find it impossible to believe that any remarkable performance is clean, or you have to take a leap of faith and believe what you’re watching (within reason), and risk looking a fool in hindsight. Clearly not ideal, but that’s where the sport is. I fully believe that other sports have a doping culture to some extent, but are not serious about opening their own particular can of worms (for lots of reasons…but that’s another debate). Thought provoking post. It is too soon for me to see Lance Armstrong rehabilitate his reputation. Just as I am not ready to see Barry Bonds in the Baseball Hall of Fame. Right now Armstrong is getting the Pete Rose treatment. Is it deserved? Hard to say. He reaped the financial and egotistical rewards of being so highly regarded and with that comes greater responsibility. Sure there was a lot of people colluding, yet everything I’ve read suggests that he led the team in doping. I need him to stay in “time out” and attempts to gain a place in cycling so soon makes me think he doesn’t really understand the negative impact he’s had on fans and the sport. Thanks. Good points, i agree…it is certainly too soon. I found the reaction of Christophe Bassons very interesting (he was a famously clean cyclist during the Armstrong era who was effectively hounded out of the sport by Armstrong). Bassons is one of the most respected anti-doping figures and he was extremely generous to Armstrong when he apologised recently. You make a very good point that he doesn’t understand the negative impact he’s had from a fans point of view. It’s one thing for fellow pro’s, or former team-mates/employees to accept his apologies, but without the fans where would the sport be – how we feel about this is important. Weirdly, I find myself believing Lance on this one. We’ve already heard from Landis and Hamilton that Lance (back when he was untouchable) was bragging about the cover-up and Hamilton was almost there first hand for the ’99 cortisol coverup. Now that Armstrong is saying it when he’s in the place he is, I’m inclined to believe the guy with the smashed reputation and nothing to lose speaking out rather than the guy who still has a shread of reputation left and is clinging onto it. We’ve seen how Verbruggen (and McQuaid) reacted when Landis/Hamilton initially spoke out and it seemed rather similar to the Armstrong bully-boy tactics that we’re used to. True, Verbruggen is desperately trying to cling on to the remains of a reputation he thinks he has left…i’m with David Millar, it’s the Verbruggen era as much as the Armstrong era.